What a wonderful time to be in Chicago! Warm days, bright sunshine, and the Casual Furnishings Industry market! All of the manufacturers and retailers were very positive about this market. All signs of optimism about the economy. So it was a very positive and uplifting time together. The 51st annual Apollo Awards dinner and presentation was held in the Field Museum, and it was spectacular! 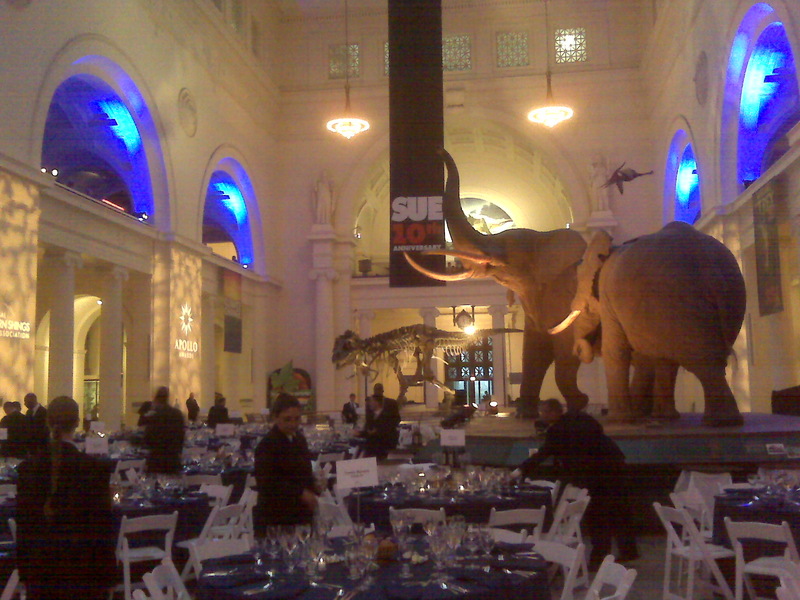 Imagine having dinner with the 100 year-old elephants and Sue, the famous dinosaur. I've included pictures, so see for yourself. 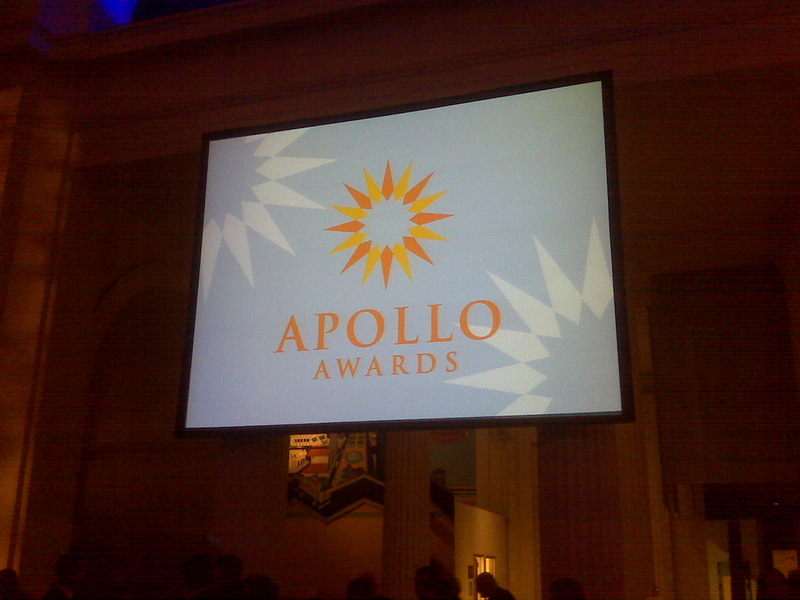 Oh, the Apollo Awards logo is one we designed for last year's 50th anniversary celebration. 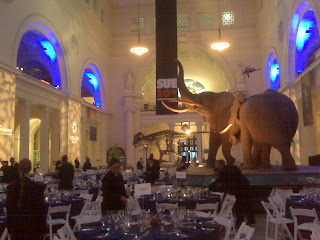 One of my favorite events is the Casual Furnishings Industry pre-market at the Merchandise Mart in Chicago. I've been working with their trade association, the International Casual Furnishings Association (ICFA) for three years now, and I'm starting to really feel a part of this industry. This was a quick trip to video those who will speak on behalf of this year's Lifetime Achivement Award winners. Absolutely wonderful people! And we'll be back in September for the Market itself! 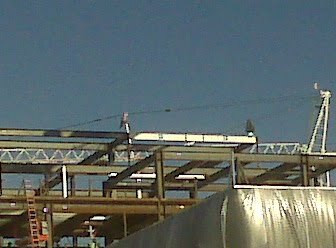 Last May, I wrote about my client, Concrete Express, starting up in this market. I'm pleased to tell you that the company is going so well, and they have expanded into the Winston-Salem and High Point markets. 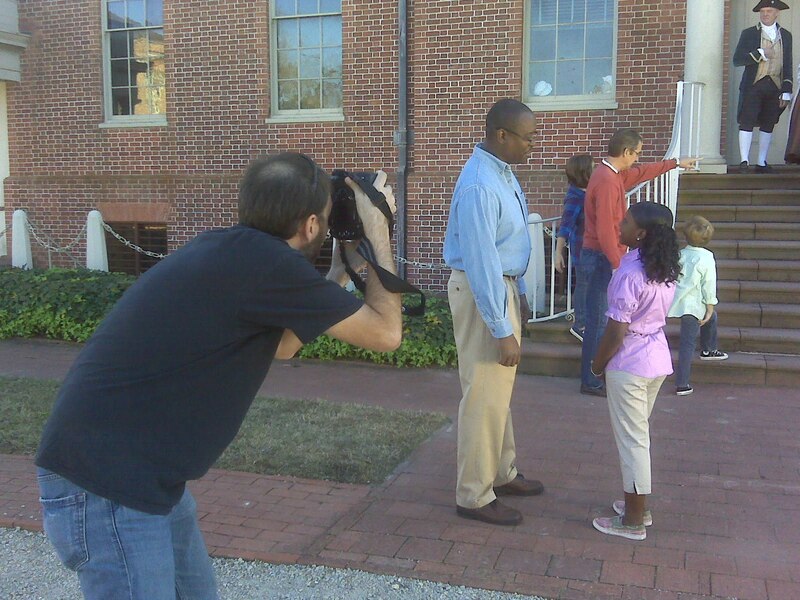 We've been working with them on some public relations and media efforts, and they are really paying off. Keep watching for their trucks! We had our final presentation of Phases I and II to the Marketing Committee today, and it could not have gone better! Our recommendations were accepted unanimously, and then later on by the Executive Committee. We have enjoyed every minute of this project and so proud of the work we've done. 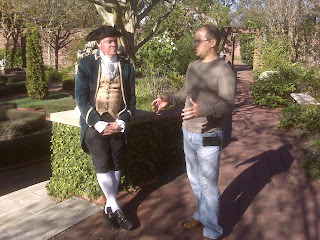 We'll present to the Tryon Palace Commission at the end of April, and then start on creative development. Stay tuned!